Item # 310966 Stash Points: 3,295 (?) This is the number of points you get in The Zumiez Stash for purchasing this item. Stash points are redeemable for exclusive rewards only available to Zumiez Stash members. To redeem your points check out the rewards catalog on thestash.zumiez.com. 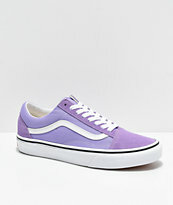 Get the luck of pro-skater Lizzie Armanto when you rock the Lizzie Lucky Cat Purple Baby T-Shirt from Vans. This purple baby style tee offers a slim, slightly cropped fit, and comes in a deep purple colorway. 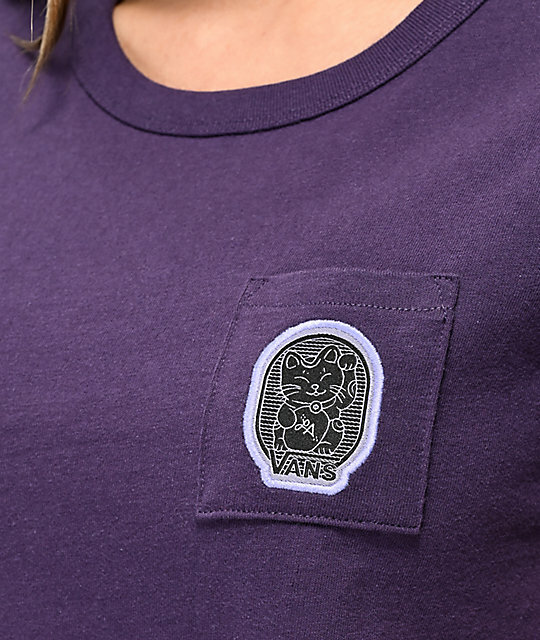 The left chest pocket displays a woven "lucky cat" Vans brand patch sewn on for added interest, while the simple design offers a casual look, perfect for skating or chilling in Lizzie's signature style. Lizzie Lucky Cat Purple Baby T-Shirt from Vans. Lucky cat woven patch sewn onto left chest pocket.